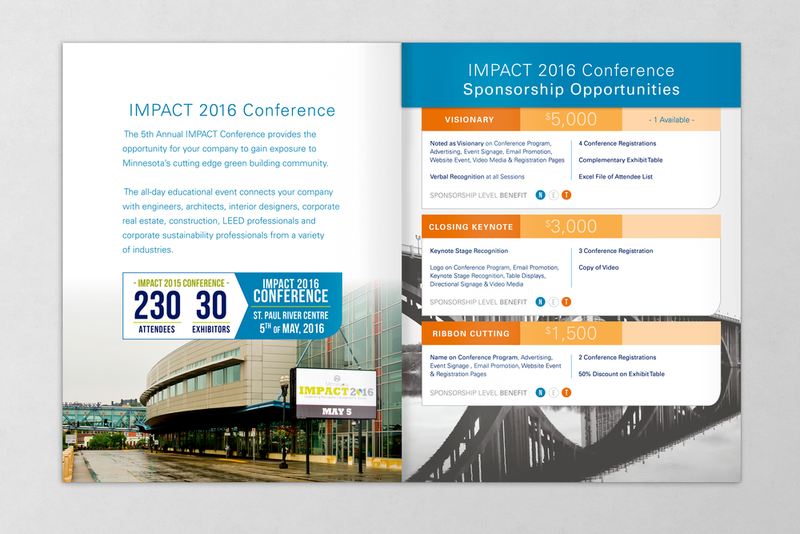 greener marketing solution showcasing the many conferences, events and programs they offer throughout the year. 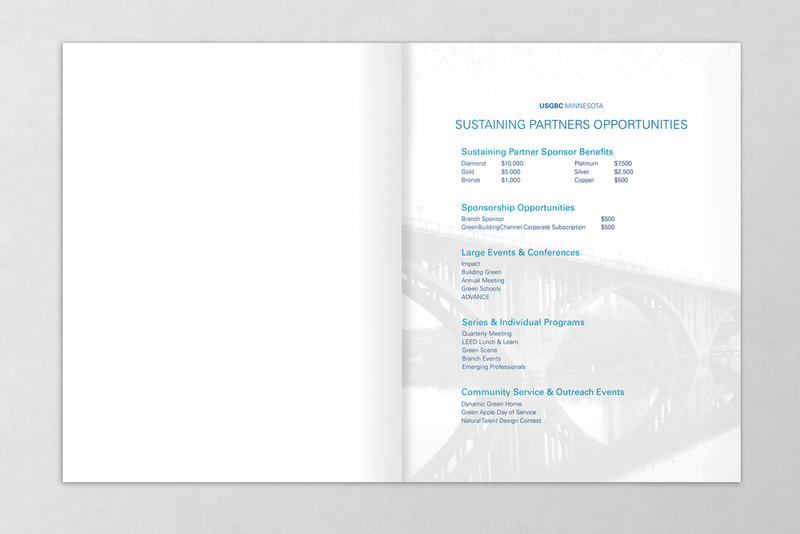 This is my story of developing / designing a digital brochure for the US Green Building Council Minnesota chapter. The information in this case study is my own and does not necessarily reflect the views of the USGBC Minnesota chapter. USGBC Minnesota is nonprofit organization committed to green buildings for everyone in Minnesota. They support, promote, educate, and recruit for the green building industry. In the spring of 2015 I was selected to assist in conceptualizing merchandising opportunities for ASoH. Working directly with co-founder Joanne Young, we discussed the current merchandising in the ASoH online shop, previous items and the events associated with their genesis. Up to this point merchandising efforts by ASoH echoed the general SWAG items (T-shirts, water bottles, etc.) offered by similar brands within their non-profit industry. The items proved successful for event marketing or fundraising efforts, but neither assisted in telling the unique approach of ASoH nor their brand story. In that conversation I gathered the necessary information to begin developing a concept book for stakeholders at ASoH to review. The concept book was received with enthusiasm. So much so, mother and daughter co-founders decided that ASoH needed a new logo before considering any new merchandising options. Merchandising efforts were put on hold, and I was invited to develop a new brand mark. Suggested concepts aimed to embrace the craftsmanship of South African artisans. The "hands-on practice" of both ASoH and the artisans was the common thread in the story of each merchandise item uniting a community of craftsman, companies and consumers to participate in supporting ASoH at a local level but on a global scale.